For High School students at the International School of Beijing (ISB), the week of September 3 was full of transformative experiences as they traveled locally, around China and internationally for a choice of Experiential Learning Opportunities (ELOs). The term "school trip" can too often conjure images of boring outings to museums, but ISB's annual ELOs are far removed from this stereotype. Through partnerships with expert guides and organizations in the trips' destinations, the ELOs encourage active engagement in experiences that promote personal growth and build community. Learning on the trip is supported by a sequenced framework that draws upon and enhances ISB's rigorous academics, co-curricular activities and student life. Students got to pick from a range of ELOs as varied as an investigation into the problem of human trafficking in Vietnam, a sailing course, cooking classes, explorations of less-traveled parts of China, and an historical tour of old Beijing. Students were even able to propose their own ELOs. One such idea bubbled up last semester in an ISB grade 10 biology class. After working on a conservation project, students were inspired and wanted to take action. Right around the same time, they heard about The Green School, a fully functioning school which teaches sustainable practices in a wall-less natural environment in in Bali, Indonesia. A small group of the biologists wrote to ISB's Office of Learning to pitch their own ELO for their Junior year. They wanted to visit The Green School to learn more about what it was doing and bring ideas back to ISB. After communicating with a science teacher at The Green School and assistance from the Office or Learning, a new ELO trip was born. 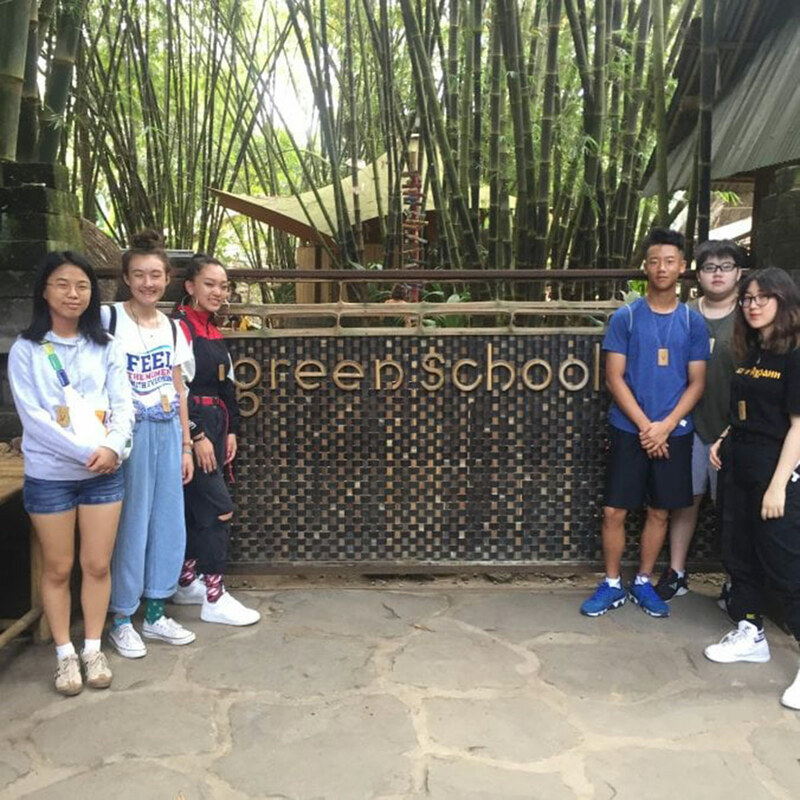 Last week, the ISB travelers to Bali took a tour of The Green School. They participated in one of its high school electives on chickens and permaculture, tried out the composting toilets, and worked with Green School students to learn about biofuel. This green-themed ELO also linked up with other environmental organizations in Bali to learn about water protection, and conservation of coral reefs and mangroves. On the last day, there was a visit to an ecopark where students participated in activities including composting, creating seed balls, and natural dyeing. ISB Design Tech Facilitator Julie Lemley, who led the Bali ELO, said, "We arrived back in Beijing with our hearts and our minds full. Now, we wait and see what great ideas spawn from this trip and how our students (along with their equally inspired chaperones) take action and weave more sustainable practices into our ISB community." 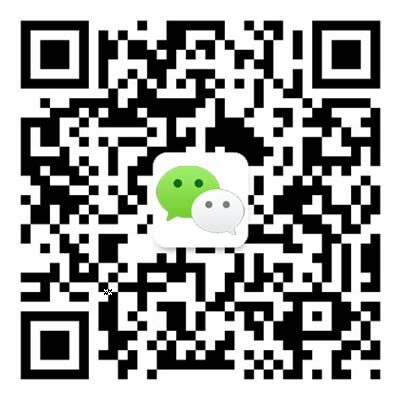 In Beijing, the Fun with Food ELO gave students culinary instruction at culture exchange center The Hutong and in ISB's kitchens. They mastered knife skills and served up regional cuisines from around China, and the West. They finished off with a cooking competition and a screening of foodie documentary Jiro Dreams of Sushi. 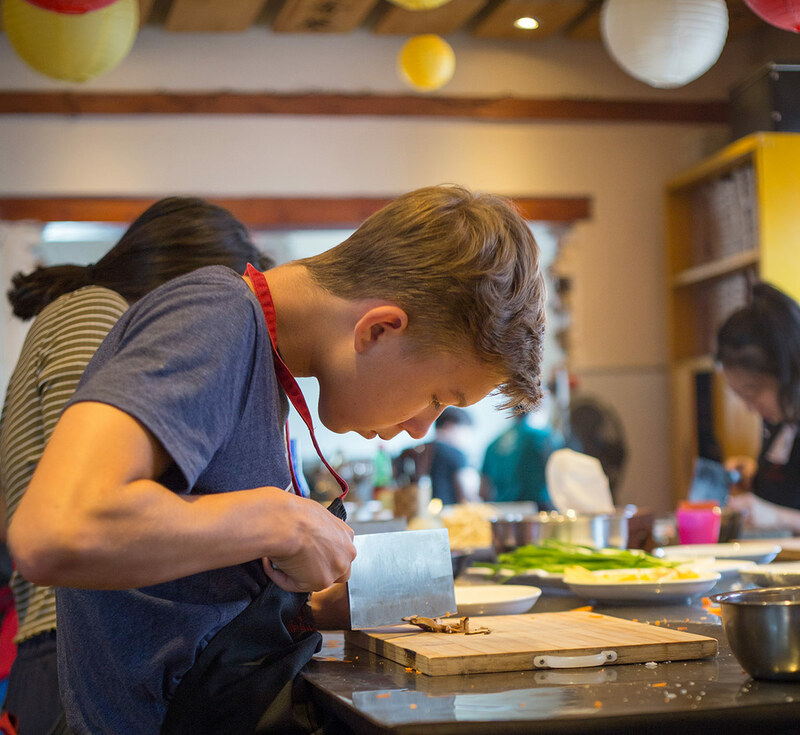 "Our ELO was more than just cooking," said grade 11 student Samuel S. "Cooking with people who weren't necessarily your best buddies meant stepping outside comfort zones, hanging out with people from different places and different cultures. Our appreciation for each other's support in our cooking journey meant being dependent on one another to get things done in the kitchen, and I feel these bonds will continue onwards to the classroom, even as we say goodbye to our ELO." 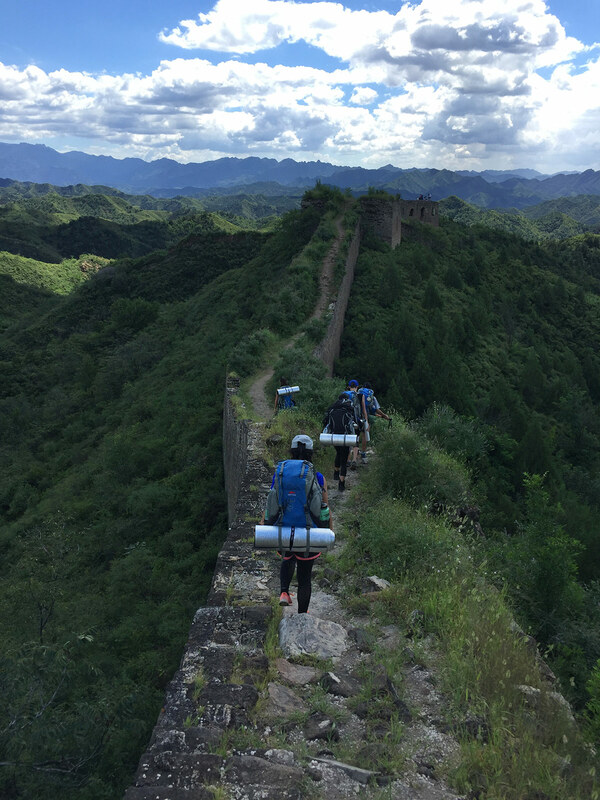 Meanwhile last week, other groups traveled to the wild Great Wall outside Beijing and to the mountains of Sichuan Province for their Duke of Edinburgh's Bronze and Silver/Gold Awards respectively. The Duke of Edinburgh's Award is an internationally recognized youth achievement award with several components including a multi-day "Adventurous Journey" with camping. Aiming to build self-confidence, teamwork and health, the journey is expected to be completed with minimal support from teachers or adult facilitators. High School science teacher Darren Smyth helped the students organize the Bronze journey. "Overall, they succeeded really well, with much learning taking place and an awareness of nature and the challenges involved," said Mr. Smyth. "Camping, orientation and hiking skills were refined during the trip. They key was to work collaboratively in the participants' small hiking groups while navigating from point A to point B. They had to carry in all supplies and carry out all waste." Work will soon begin on planning next year's ELOs. Where will these exciting trips take our High School students?